The legend also claims that whoever unites these rings with the artifacts of the parallel worlds will achieve great power and immortality. In unique worlds of dreams and reality, magical, mechanical and ethereal lands, take on the quest to find the artifacts cleverly concealed throughout the lands. Four parallel worlds await you on your journey: The Ademika Valley, The Mechanical World, The Isoteric World, and lastly, the Island of Unity, each with different environments to explore, challenges to encounter and a variety of indigenous puzzles to solve. 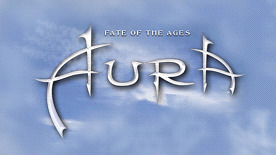 Lose yourself in this fantastic and rich adventure, uncover the smallest details, collect information, solve the enigmas and unravel the saga of intrigue, exploration and treachery that is AURA: Fate of the Ages. An original fantasy-based mass appeal, unique and original storyline.